Looking for a home for sale in Downey? 8749 Imperial Highway has a Walk Score of 78 out of 100. This location is Very Walkable so most errands can be accomplished on foot. 8749 Imperial Highway is an eight minute walk from the Metro Green Line (803) at the Lakewood Blvd Station stop. This location is in Downey. Nearby parks include Brookshire Childrens Park, Golden Park and Independence Park. Explore how far you can travel by car, bus, bike and foot from 8749 Imperial Highway. This location is in the city of Downey, CA. 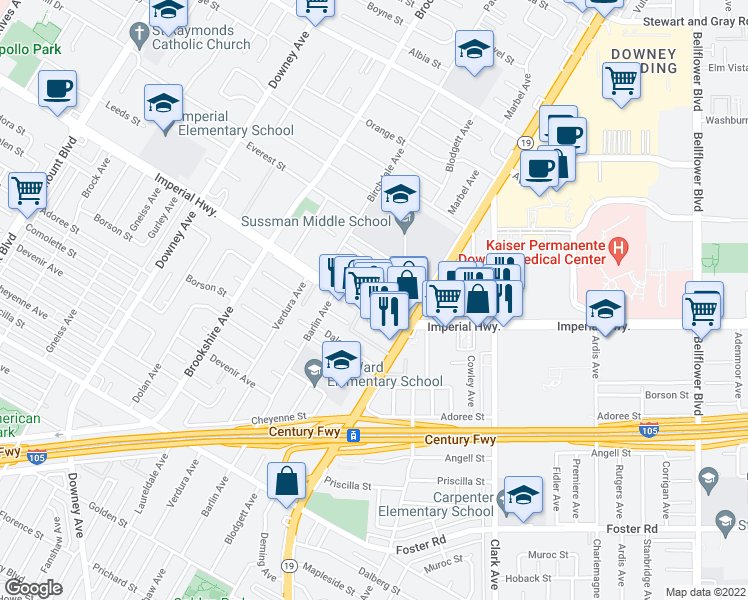 Downey has an average Walk Score of 59 and has 111,772 residents.